Federal government has commended FrieslandCampina WAMCO Nigeria, makers of Peak and Three Crowns milk, for pioneering local milk sourcing, development and for improving the lives of Nigerian dairy farmers. Chief Audu Ogbeh, Minister of Federal Ministry of Agriculture and Rural Development (FMARD), said this Monday, while inspecting the local milk collection facilities of FrieslandCampina WAMCO in Fashola village and Iseyin town, Oyo State. The site is where the company’s state-of-the-art milk collection centres and offices operate under its Dairy Development Programme (DDP). After inspecting the milk facilities and speaking with members of the host community, Chief Ogbeh said: “It will be wonderful if each Nigerian child can get two pints of fresh Nigerian milk daily. He also observed that FrieslandCampina WAMCO investments have guaranteed steady incomes for the Fulani farmers as well as an improved lifestyle. 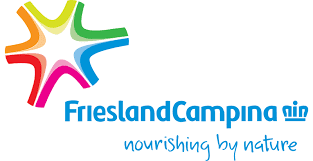 While thanking the Minister, Ben Langat, the Managing Director, FrieslandCampina WAMCO, explained: “No other dairy company in Nigeria has started collecting milk locally for production, only FrieslandCampina WAMCO, since 2011. “Although there is a deficit of good infrastructure like roads, power and water, still we are grateful to the Minister, FMARD, Sahel and the Oyo State Government for partnering with us. “So far we have provided 15 boreholes in the communities here in Oyo State. We are in this for the long run. We are investing funds and expertise in artificial insemination, cattle feeding and pasture for high yield in order to raise locally sourced milk to the desired levels for production” Langat said. Chief Ogbeh assured FrieslandCampina WAMCO of government’s continued partnership, while he affirmed that improved local production of milk was the only panacea to lack of adequate milk supply.